I am a Tequila drinker and really enjoy you tasting criteria. Glad to have you aboard, Kent! Which brands have been speaking to you lately? 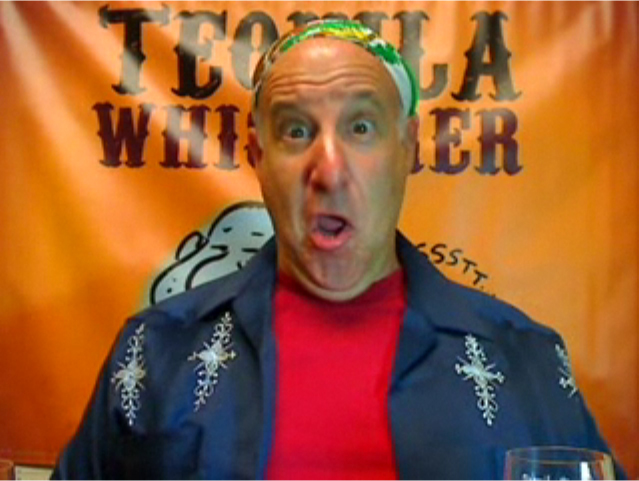 Hey Lippy…I don’t drink tequila but I love your show because you’re so kooky, in a good way of course! 😉 I’m just leaving Mill Valley area, all the wayyyy from east Tejas and didn’t want to leave here without saying hey. So Hey Lippy! CHEERS! Thank you for stopping by, Chana! I hope you’re continuing to watch in TX. Please tell some friends! Glad you found the site. Yes I do tastings for private functions, personal gatherings and restaurant seminars. You interested in hosting something? Greetings from Canada. Tequila selections are quite limited up here which sends me south quite often. I have been enjoying the show and have not been surprised about your positive thoughts about some of my favourites (Gran Jubileo Anejo 1446, Don Anastacio Anejo 1433 and most recently the Don Fulano flight. I have learned lots and enjoy your quirky heart felt approach. I am off to Peurto Vallarta in a couple weeks and would like to ask if you could give a listing of your top NOMs. I have to do some purchasing for some friends. Any info helps. Also, I have a couple specialty stores in mind but any ideas of stores in the PV area would also be appreciated. And I am interested in hosting an event for a bunch of west coasters this spring in Oregon and would like to use you as a consultant. I am sure we can work something out. Thanks for the show. I’ve sent many a link to it. Hello Simon, And welcome to my TEQUILA world. I think your best bet in Mexico will be to look for Siete Leguas’ extra anejo: “D’Antano”, and also NOM 1139’s “Tapatio” line. You will be pleased, I’m sure! I’ have not been to PV so I can’r steer you to any in particular. Please write back (or join in a LIVE show) and tell us all how the “hunt” went! We’re out of here on Thursday. I’ll be seeking out your recommendations and now it seems a side trip to Tequila is in the works (por favor madr santa). Will see you sometime. Thanks for the info/show all.